After years of teaching grammar AND college writing, you’d think I would have perfect grammar and all my written work would be perfect every time. However, I recently discovered Grammarly and realized this is a tool I never knew I needed so badly. Even as a grammar teacher who writes full-time, it takes a fair amount of time to go back and proofread small errors, spelling mistakes, and other issues. With the free version of Grammarly, I got instant feedback and got one-click solutions. Here is my Grammarly review. Grammarly is a writing-enhancing program that works with you in real-time to correct errors. Additionally, Grammarly has a browser extension for Chrome, Safari, and Firefox so it will correct anything you write in a browser. If you’ve ever taken an online class and had to fill out a discussion board, you must have realized that your browser won’t check your spelling and grammar for you, yet using this free extension, you get an instant grammar check on everything you type in the browser. All of your social media posts look much more professional – gaining you the respect you deserve. If you have to fill out online discussion boards for class, you can get instant feedback in-browser from Grammarly using their browser extensions. So, by adding the free extension, you save yourself an extra step of copying it over from MS Office and can work solely online. 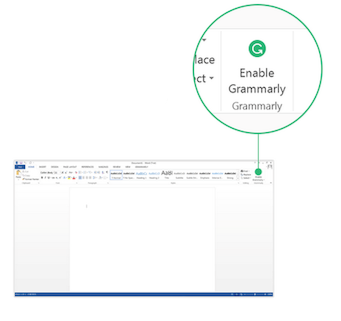 Another blogger was recently raving to me about Grammarly. Being proud of my extensive knowledge of grammar that I wouldn’t even want to confess that I might use such a technology. I was also skeptical whether it would catch as many mistakes as I would. Not only did I have full faith in my grammar, spelling, sentence structure, and clarity skills, but I had depended on the spelling and grammar checker already apart of MS Word. That should be enough, I thought. However, now that I’ve tried it and every email or web posting I write gets checked, I saved so much time in going back to check multiple times. Now that I was hooked on the free version, I wondered about the premium version, is it worth it? The first value is that you can get it to work in MS Word. It is compatible with MS Office 2007, 2010, 2013, and 2016 and on Windows OS 7 and up. For Mac, you would need to use Parallels. 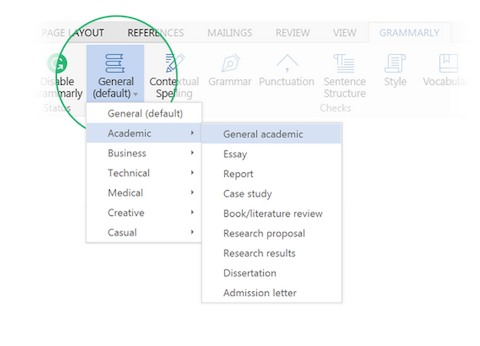 You simply download the program and enable Grammarly in the MS program. After that, you can set it to whichever writing style you will be using so that it will give you feedback based on that style. As a teacher of non-native English speaker for years, I would often see in my students’ writing contextual spelling errors. For example, “I want to let you no,” rather than “I want to let you know.” Using MS Word alone is not enough to tell you why something is wrong and why to change it. So, I often told them never to rely on the spelling and grammar checker in MS Office. However, with Grammarly, there are detailed explanations that can aid students in choosing the correct word to use. The plagiarism checker was a big factor in value for me. As a professor, my number 1 source of a plagiarism check was simply googling sentences from students papers and looking for word-for-word matches. Grammarly will check that you don’t make this mistake by testing your paper against over 8 billion web pages. You can rest easy after submitting your assignments with this paid feature. I wonder if I’ll go back to teaching so that I can use Grammarly on my students. It would just make things so much more efficient than scouring the web myself. If you are going to use this feature, make sure to enable it on the left side panel, it will then highlight any original text and tell you the source of origin. It will prompt you to either cite your source or lead you to Purdue’s Online Writing Lab web page for reference. How Much is Premium Grammarly? Grammarly offers a number of ways to pay. You could pay by month ($29.95), every three months ($19.98 per month), or by the year ($11.66). You might choose the last option if you plan to use it for the long term, and the numbers work out better. For about the same price as a Netflix subscription, I think this deal is worth it. If you’ve checked out your syllabi for this semester already, you may have seen how much weight your teachers give to grammar/ clarity in their grading. This plan can help you achieve better grades rather than without. If you are a timid buyer but still want premium, sign up for the free version and wait a few days. I’ve heard from other users if you wait for it, they will send a promo code within a few days and ask if you’d like a discount to get premium. After using Grammarly, I still have my pride intact. I still know my grammar well, and I’m still a confident speller. However, Grammarly is like a mentor or writing coach sitting right next to me as I type. I may not 100% agree with every suggestion, but I love that I get some immediate feedback as it powers me to write more and more. What are your proof-reading resources? Have you signed up for the free version of Grammarly? What has your experience been? Arm yourself with resources for the college experience. If you are a new to this site, considering subscribing to new posts. I post time-relevant articles that will guide you through your college/ university studies. You can get started by clicking on my sign up page. This post contains affiliate links, meaning that I will make a small commission if you make a purchase, but the price remains the same for you. These small commissions help to keep this website up and running.